One Eternal Day: "Faith cometh by hearing..."
.... The Christian faith came to the illiterate majority in the early Church through their ears. 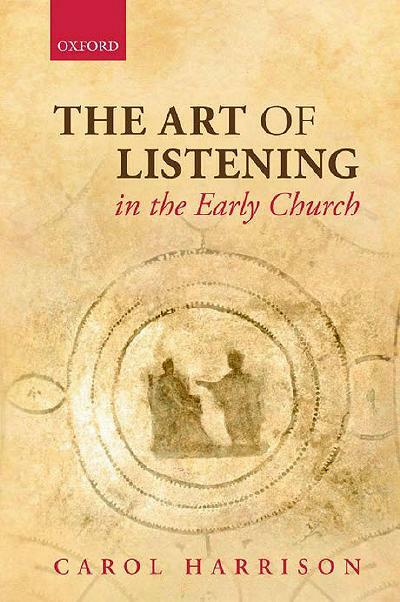 .... By examining early catechesis, preaching and prayer, she demonstrates that what illiterate early Christians heard both formed their minds and souls and, above all, enabled them to become "literate" listeners; able not only to grasp the rule of faith but also tacitly to follow the infinite variations on it which were played out in early Christian teaching, exegesis and worship. It becomes clear that listening to the faith was less a matter of rationally appropriating facts and more an art which needed to be constantly practiced: for what was heard could not be definitively fixed and pinned down, but was ultimately the Word of the unknowable, transcendent God. This word demanded of early Christian listeners a response — to attend to its echoes, recollect and represent it, stretch out towards its source, and in the process, be transformed by it.